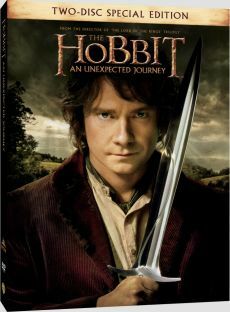 Actually, the Extended Cut of The Hobbit: An Unexpected Journey is already done. Director Peter Jackson already confirmed that in an interview prior to the theatrical start of the film. You'd think that it's no problem to put that version out a few months after it ran in cinemas. There's no stress producing it like it was during the Lord of the Rings trilogy - the work is done. But no one is gonna be that naive, right? Obviously, the studio Warner Bros. plans to repeat the release strategy they had with the big brother. That means that the first version they will put out is the theatrical cut, which comes out on DVD, Blu-ray and Blu-ray 3D in the US on March 19th, 2013, while the UK follows on April 8th, 2013. The Extended Cut will probably have to wait until autumn, shortly before the 2nd film hits cinemas. An announcement will surely be just a question of timing.